The Prayer Box Blog Tour: Author Scoop~Chatting Moments With Lisa Wingate! Hello folks! Isn’t it exciting to have one of our author’s with us today? Lisa Wingate, author of ‘The Prayer Box’ is graciously giving us little scoops of the author behind the book and the inspirations that led to The Prayer Box. So join is below for a little chat. But first, here’s something I found exciting that I found exciting that I wanted to share—praise for The Prayer Box. I know! Just goes to show how that book is so inspiring. Best women fiction I’ve read in a long time. 1. You originally had the book set in Texas. What made you switch to the coastal setting? A – My special reader-friend, Ed Stevens, visited the Outer Banks (his daughter Shannon has a beach house in Duck) after Hurricane Irene, and he asked me to set a book in the Outer Banks to draw attention to the destruction there and the plight of residents—Irene was mostly thought of as a “nonevent” because it didn’t hit New York, etc. as was predicted. But the damage was very bad. It’s a post-hurricane story, and we’ve had our share of hurricanes here in Texas. We lost our family beach houses (relatives on the coast) during Ike several years ago, so I understand the aftermath of having family treasures scattered to the tides and the feeling of losing a place you’ve loved and where you’ve made memories. 2. You researched the book from the Outer Banks? A – Our trip was amazing. We canvassed the place. A reader friend–now–gal pal and my mother (my assistant) went with me. We photographed like crazy, talked to locals, found a location for the fictional village of Fairhope, and learned about what the people on Hatteras were going through. And that was pre–Hurricane Sandy. Now it’s even worse there. I do hope the book will bring attention/tourism/help, etc. to the Outer Banks, and Hatteras in particular. They are great people and it’s a beautiful place with rich history. 3. I pray with you that people will take notice of the Outer Banks. Your fans make big impacts on your writing—and your family. How did your aunt Sandy contribute to The Prayer Box? A – Aunt Sandy is my mom’s sister, and while she and my mom (who I based the character Sharon on) wish I would have made them a bit younger in the book, they are great inspirations. My aunt designed her character and the Seashell Shop and made beautiful sea glass necklaces, glass boxes, and hummingbird suncatchers that will be given away as reader prizes. She is an amazing glass artist. 4. She really is talented! I’m glad she inspired a character in this story. So, what exactly are prayer—or gratitude—boxes? A – You can create the boxes for your own life and as gifts for occasions. Wouldn’t it be wonderful, when a child graduates, to be able to give that child the box of hopes and prayers written during the first year of life? Or for a couple on their twenty-fifth anniversary to reopen the box from their first year of marriage? For years, I’ve given journals or prayer boxes to couples as wedding gifts and encouraged them to write down their hopes and gratitudes during their first year of life, then keep them. It’s a great exercise while they’re doing it and a precious keepsake for later. It’s also their story, preserved. 5. What’s the overall message? A – In this cyber age, it’s more important than ever to equip families with ideas for generating family table talk and storytelling. My first mainstream novel, Tending Roses, was inspired by stories shared by my grandmother. I’ve since watched that book travel around the world, and her stories— those simple remembrances from a farmwife’s life—have affected many lives. Our stories have amazing power and value, yet we’re in danger of losing that tradition of sharing our stories, particularly with the next generation. 6. We really need to pray for our generation so we don’t lose the values that count most. Tell us about the e-novella prequel to The Prayer Box you’re releasing in July. A – Titled The Sea Glass Sisters, this is a story of the sisterhood in Sandy’s Seashell Shop, a prominent theme in The Prayer Box. In this prequel, Sandy’s sister, Sharon, and Sharon’s daughter Elizabeth travel to the Outer Banks determined to convince Sandy to move back to the family land in Michigan and give up Sandy’s Seashell Shop before the financial costs of hurricane repairs bankrupt Sandy. The three women end up riding out the second hurricane on the Outer Banks and form a life-changing sisterhood. We will definitely be looking out for The Sea Glass Sisters now! Thank you Lisa, for these scoops. We are glad you could stop by for a little chat. This is how The Prayer Box came to be: by accident, if you believe in accidents. I glanced across the room one day, saw the small prayer box that had been given to me as a gift, and a story began to spin through my mind. What if that box contained many prayers accumulated over time? What if there were dozens of boxes? What if they contained the prayers of a lifetime? What could more fully tell the truth about a person than words written to God in solitude? Of course, Iola would say those random questions that popped into my mind—and The Prayer Box story itself—weren’t accidents at all. She would say it was divine providence. Something that was meant to be. I believe divine providence has brought this story into your hands, as well. I hope you enjoyed the journey through Iola’s prayer boxes as much as I did. If the journey is still ahead of you, I hope that it takes you to far-off places . . . and into inner spaces, as well. More than that, I hope it will inspire you to think about keeping a prayer box of your own and maybe giving one to somebody else. The little prayer box that was given to me was by no means unique. I’d heard of prayer boxes, and I knew what they were for. They’re either keeping places for favorite Scriptures, or they’re similar to a prayer journal, only more flexible. Any scrap of paper will do, anywhere, any time of the day or night. The important part, in a world of fractured thoughts, hurried moments, and scattershot prayers, is to take the time to think through, to write down, to clarify in your own mind the things you’re asking for, the things you’re grateful for, the things you’re troubled about, the hopes you’ve been nurturing. And then? Put them in the box and . . . Let. Them. Go. That’s what trust is. It’s letting go of the worry. It’s the way of peace and also the way of God. It’s such a hard road to travel for people like me, who worry. When I’m writing a story, I control the whole universe. In life . . . not so much. Actually, not at all. Things happen that I hadn’t anticipated and wouldn’t choose and can’t change. That’s the tough part. Closing the lid on a prayer box is symbolic of so many things. When we give a prayer over to God, it’s supposed to be in God’s hands after that. I think that’s what Sister Marguerite was trying to teach Iola when she gave her that very first prayer box. Life is, so often, beyond our control, just as it was for that little ten-year-old girl, far from home. I like to imagine that Sister Marguerite decorated that box herself, prepared it with young Iola in mind, don’t you? After studying more about prayer boxes and using them myself, I’m surprised we don’t do this more often. Prayer boxes have a long-standing tradition, both among early Christians and among Jewish families. Jews and early Christians often wore small leather or carved bone boxes on the body. These phylacteries or tefillin were a means of keeping Scripture close to the wearer. Large boxes, called mezuzah cases are still affixed to the doorposts of Jewish homes today. It’s a beautiful tradition, when you think about it, to surround our coming in and going out with a brush with God. It’s also a reminder, as family members pass by, to pray and to trust that our prayers are being heard. That’s one of my favorite reasons for keeping a prayer box inside the home, as well, or for giving one as a gift. When you see the box, you’re reminded that things are supposed to go in it. In other words, the prayer box isn’t meant to gather dust; it’s meant to inspire a habit. That’s the real idea behind making a prayer box attractive—and the reason I think Iola must have decorated so many of hers. I imagined that, as each year came, she prepared a box that represented her life at the time, and then she kept the box out where she would see it and be reminded that her Father was waiting to hear from her. I wonder if Iola ever gave prayer boxes as gifts, just as that first box was given to her. Maybe that’s what she did with some of those many glass boxes she purchased from Sandy’s Seashell Shop. Do you think so? What better way to bind a family, help a friend struggle through an illness, see a just-married couple start off right, celebrate a tiny new life just born, send a graduate off into the world, than to give a prayer box and an explanation of what it’s for? The box can be something you buy premade or something you decorate yourself. If you’re hand-decorating it, why not personalize it with photos or favorite Scriptures? Are you inspired to consider spreading the tradition of prayer boxing yet? I hope so. I could go on and on with ideas and stories here, but that’s another book in itself. If you’d like to learn more about how to use prayer boxes in your church, your study group, your family, your ministry, your community, or as gifts, drop by http://www.LisaWingate.com for more information about prayer boxes, some examples, sample notes to include with prayer box gifts, and ideas for making, using, and giving them. My wish for you is that, in this age-old tradition, you and others will find what Tandi found when she entered Iola’s blue room in her dream. May the glorious light fill you and shine upon you and draw you ever closer. We all know who waits inside the light. Running from a messy, dangerous past, Tandi never expects to find more than a temporary hiding place within Iola’s walls, but everything changes with the discovery of eighty-one carefully decorated prayer boxes, one for each year, spanning from Iola’s youth to her last days. Hidden in the boxes is the story of a lifetime, written on random bits of paper–the hopes and wishes, fears and thoughts of an unassuming but complex woman passing through the seasons of an extraordinary, unsung life filled with journeys of faith, observations on love, and one final lesson that could change everything for Tandi. 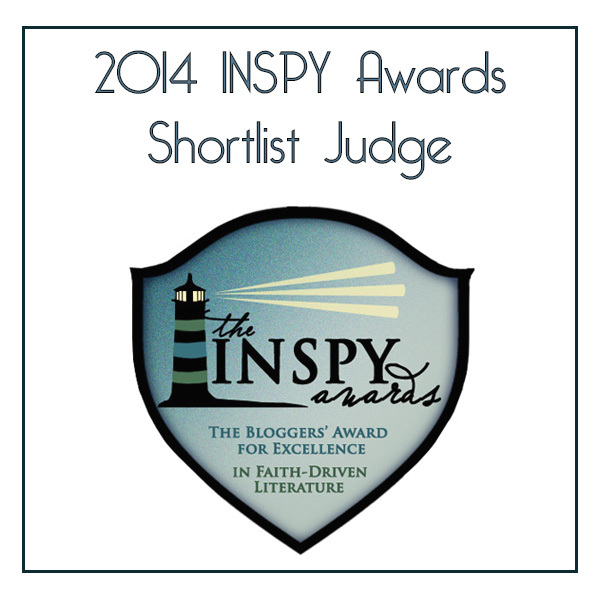 Previous PostThe Prayer Box Blog Tout: Author Scoop~Chatting Moments With Lisa Wingate!